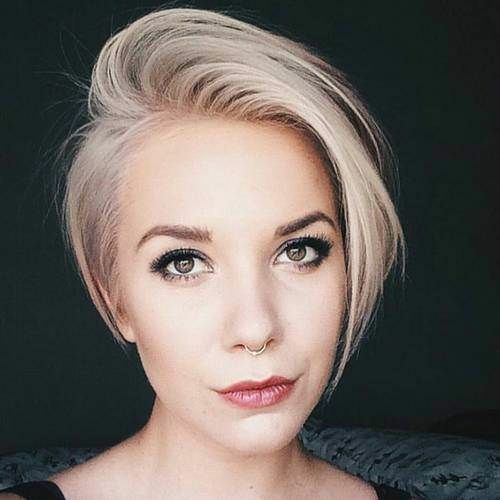 If you have fine hair, you probably think you can’t rock super short hairstyles. Well, that’s not true at all. You can try short hairstyles and look fabulous. There are so many tricks to create movement or volume. We’ve pulled together 15 best short hairstyles for fine hair, so you’ll have plenty of possibilities to choose from. Fine hair is one that you can work well with and when it is done right it can make a statement. Let’s take a look at these short hairstyles for your silk baby hair. Very short bob with the right layers! Of course, you can try a bob hairstyle as long as you have the right layers to make it work. When in doubt with your short bob, make it a wavy bob! The trick to create movement and volume is to make it wavy. The layers will help a lot too. Spiky all over again! It might be a bold hairstyle and definitely not for everyone, but a spiky hairstyle can be a great solution to short fine hair. It does make your hair look thicker and adds a lot of volume. There is nothing cooler than a pixie hairstyle! We already know that we can make a pixie hairstyle work on almost any face shape, hair texture or even personality. Of course you can play with your pixie if you have fine hair, the secret stays into the layers. Let your pixie haircut grow and make a long pixie! The original layers from your pixie will do the job you need, you’ll create movement and give life to your fine hair. Curly pixie is fun and an easy way to style your hair. 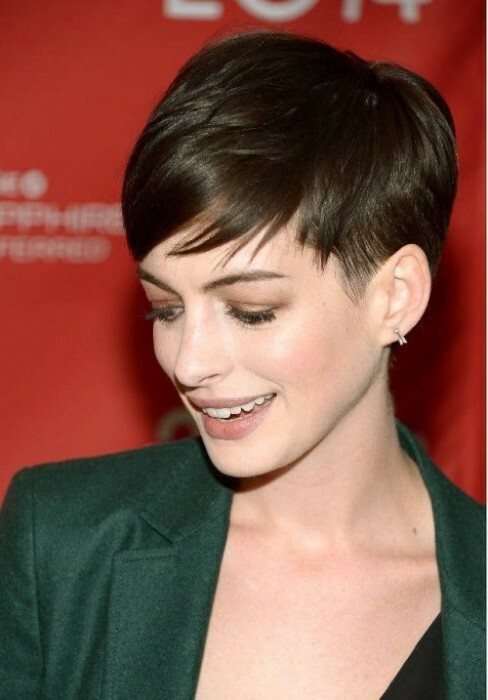 No matter how short your pixie haircut is, you can make it a messy one or a curly one if possible. Asymmetrical hairstyles can do the trick with your fine hair. Deep side parting is a trick to create volume and movement. Playing with your parting possibilities can create an entirely new look each and every time. Try and find what side suits you best. Short straight bob with blunt bangs it goes well on fine hair. Why try changing your hair texture? If you have fine hair, it is probably the best hair for a blunt bangs and a short bob. You will surely don’t have to worry about your hair going crazy or having volume in the wrong places. 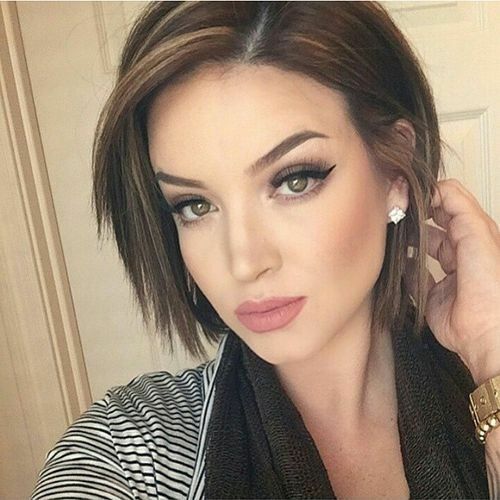 A-line short bob that will smoothly frame your face and drag the attention to your face. 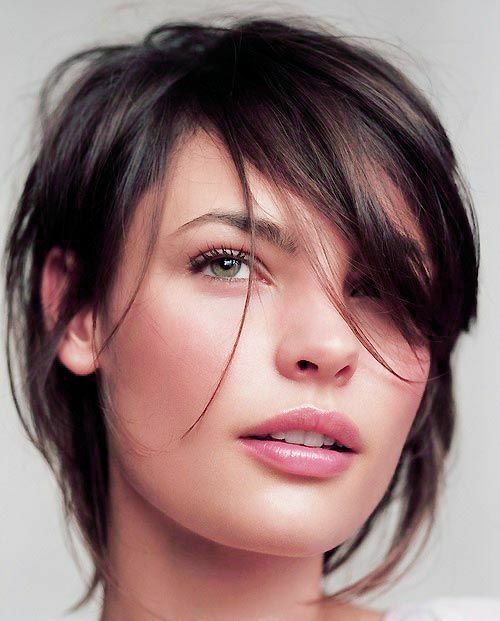 An A-line haircut usually creates a simply silk look, which is perfect for your fine hair. Highlight it for a more playful look! You should play with highlights when having a fine hair because it will create the necessary volume and shine and look even more delicate that you are used to. Never is too short for short fine hair! If you are looking for a more edgy look then, you should go extremely short. Don’t you worry about the lack of volume or fullness because, when having a really short hair you can style it however you want it. Try using styling products in order to create a spiky look or just a silk, baby hair look. 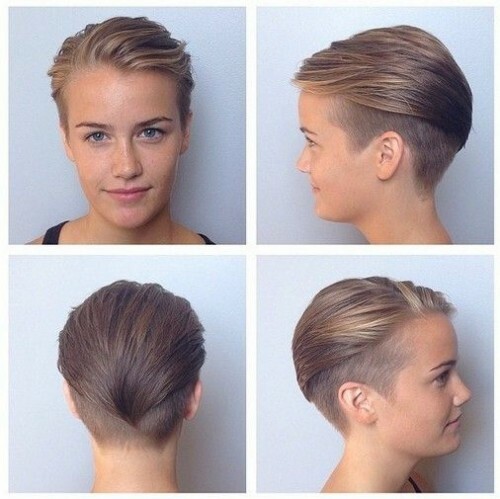 Shorter sides or even shaved sides is a hairstyle that will add volume to your hair. Let the hair from the crown longer than the hair on the sides, you can even go for shaved sides for a more dramatic look. You can style it in so many ways. You can create a hawk hairstyle, or just let it fall and get a messy look. You can let it grow or pay a visit to your hairstylist once in a while for a retouch. For a more glamorous look, you should try finger waves. Yes, it can be done on short hair, even better on short hair because you can control it better. This is not a hairstyle to go for shopping, but it is perfect for a special event. This kind of hairstyle is perfect for women with short hair because it can make them feel special on different occasions. You can have fun with your hair and experiment since you have short fine hair. Don’t be afraid to try things, crazy things such as wet look or crazy color. Remember, you have short hair, you can change your style in minutes if you don’t like it. 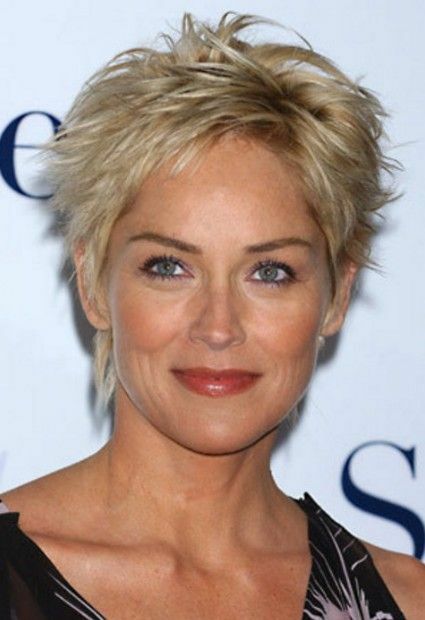 Short fine hair is one of the best to work with, so go in front of your mirror and try sides, looks, colors. Find your own style and express it!